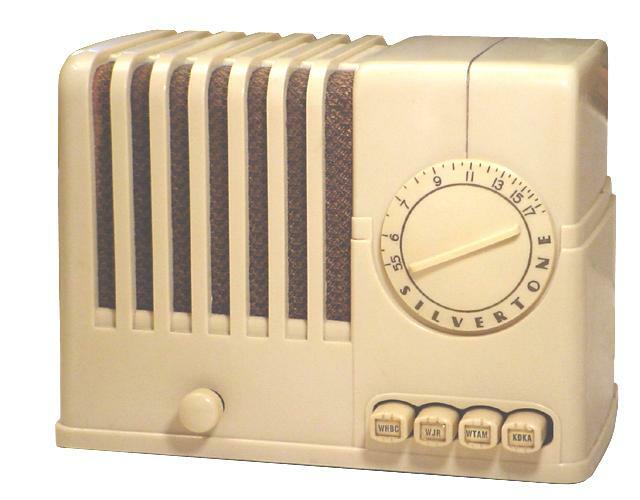 This ivory plaskon Silvertone is modeled after the successful 4500 model that did not have pushbuttons. 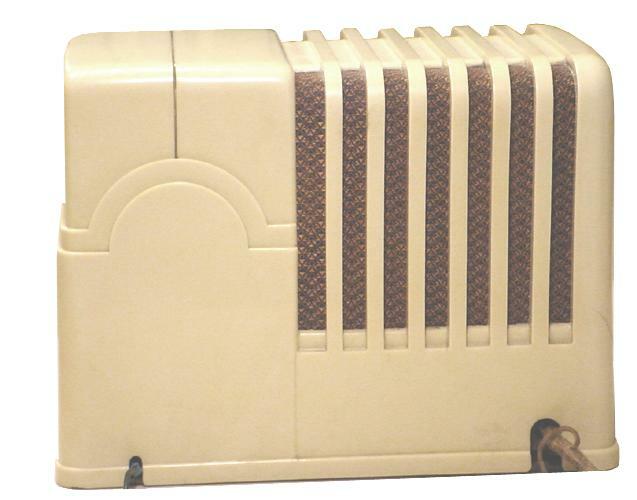 The cabinet encloses the chassis completely and has beautiful deco styling. There are other models similar to the 4500 that used less lovely cylindrical pushbuttons with notches for a screwdriver to readjust the pushbutton settings, but fortunately the pushbuttons on the 6103A look nicer. 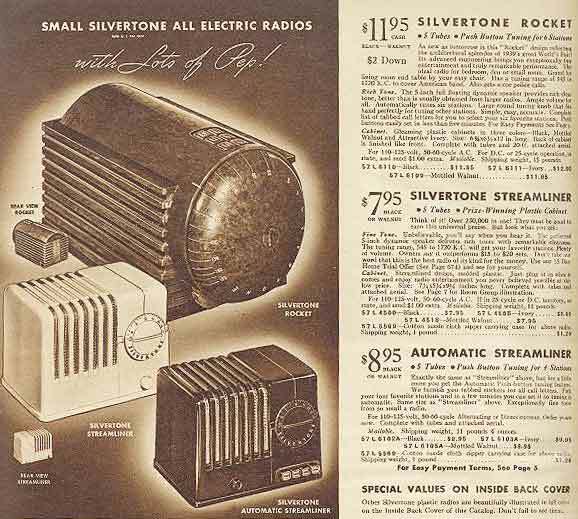 Below is a 1938 advertisement showing the 6103A priced at $9.95. The black 6102A or walnut 6105A was $8.95. These came with an optional carrying case and I have never seen a surviving example.